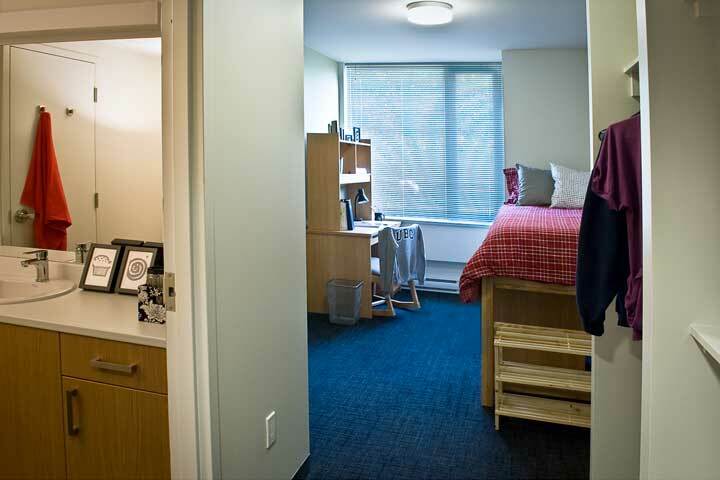 Connected single rooms are located in Totem Park and Orchard Commons. 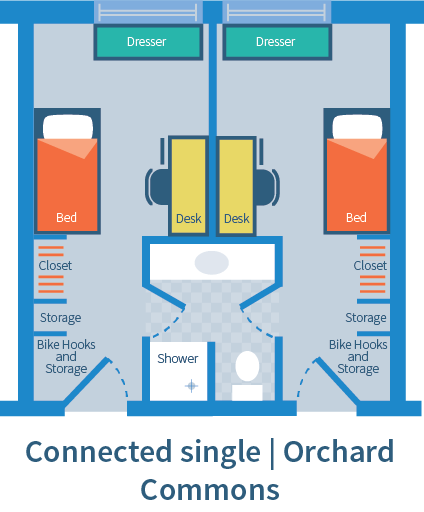 Rooms connect by a bathroom that is shared between two residents (single gender). On a standard floor, 40 residents share a common area. Winter Session only. Adjustable height twin XL (extra long) bed, desk, chair, desk lamp, wardrobe, bookshelf, and closet. Room amenities vary by location. 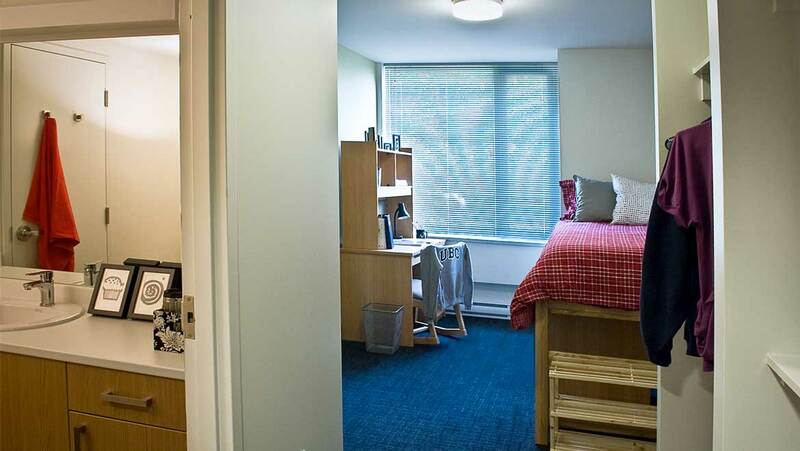 Single Connected Room in Orchard Commons. Single connected room at Totem Park. 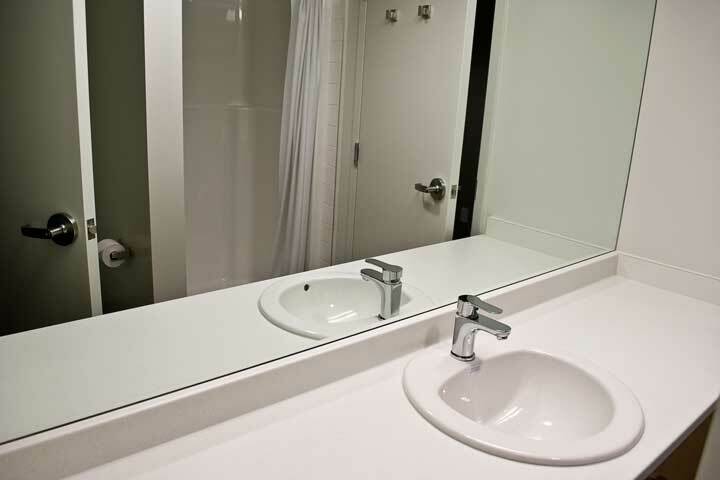 Bathroom for two residents in single connected rooms at Totem Park. 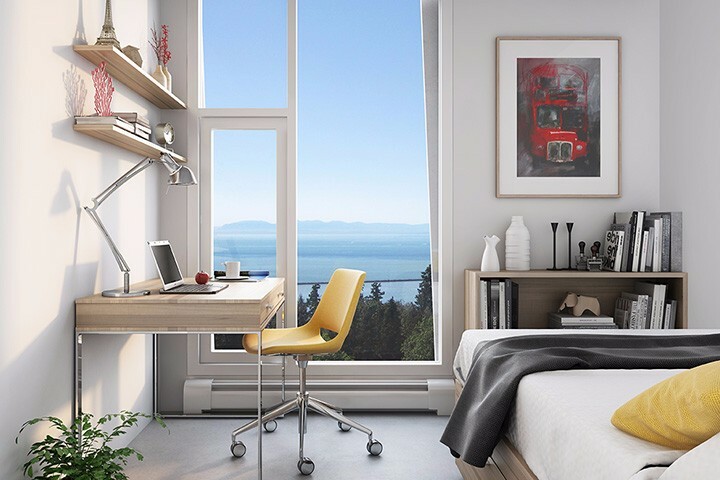 Rendering for a single connected room in the new Orchard Commons Residence (opening 2016). Orchard Commons features high-speed wireless internet. 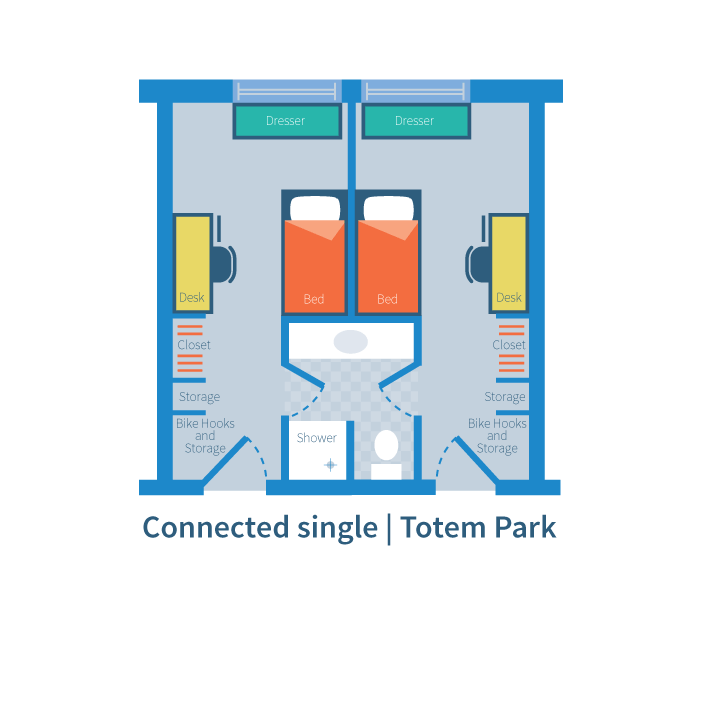 Totem Park features hardwired ports for high-speed internet—with high-speed wireless internet available in the Commonsblock. Ethernet cable not included. Use of a residence landline is optional. Additional charges apply. Each floor has a lounge with a snack kitchen and basic cable TV. The Commonsblock has fitness facilities, music rooms, study spaces and a games lounge.